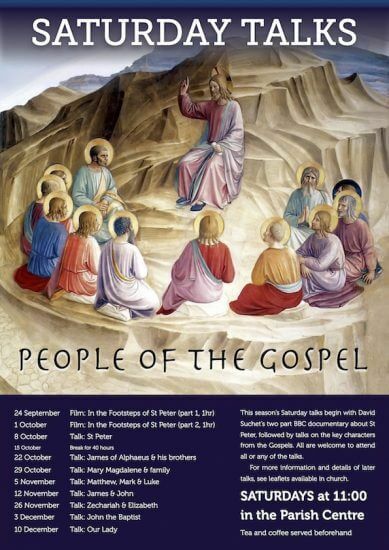 This season's Saturday Talks began today with St Peter, the first of the People of the Gospel. Eight talks trace the family and friends of Jesus. We all know their names, but who were these people? How did they fit into God’s plan, and what can we learn from them? All are welcome to attend all or any of the series at 11:00 in the Parish Centre. Tea and coffee are served beforehand.